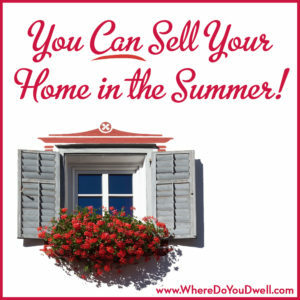 You CAN Sell Your Home In the Summer! Sometimes you have no choice on when you need to sell your home — a job transfer, you saw another home you really want to buy, or you have an unexpected life change. Selling in the “off season” — such as summer — isn’t ideal but it can be done. The housing market does slow down as we approach the end of June and through August. But for comparison, summer sales are not as slow and prices not as low as in January. And, believe it or not, not everyone is on vacation in the summer! In fact, some buyers have more flexible schedules. There are also plenty of buyers that are just getting their search started and those who didn’t find the right house or got outbid during the busy Spring selling season. Summer really can be a good time to sell your home to one of these off-season buyers who don’t want to wait until the Fall or next Spring. As we mentioned above, there are certain buyers who keep looking over the summer. But there are also buyers who are relocating and have to move pronto. You need to target these different types of buyers, tapping into their needs and wants for a home. If you’re in an urban neighborhood, with more young and hip buyers, than your focus is on first-time buyers who have more flexibility and may not have a deadline. But, keep in mind, that the buyers still looking into summertime are serious buyers and are ready to find a home and put in an offer. You’ll need to price your home right from the get-go, be generous with your terms (offer to pay for closing costs), and make your home a summer retreat for them. Also be flexible with the hours you show your home. With daylight lasting well past dinnertime, be open to later showings. Younger, first-time buyers will find this time more convenient during their work week. Make sure you take advantage of these daylight hours! For a suburban home, your buyers may be tied to the school calendar and want to settle on a home quickly. You still want to price your home correctly to bring in the foot traffic, make it as move-in ready as possible (they’re looking for convenience and don’t want to deal with “projects”), and showcase your home so it looks like a great place for their family’s summer staycation. And again, be flexible with your showing hours. Daylight savings means families are on the go later into the evening but they usually find a lull after dinnertime … perfect time for them to see your home. Now is the time to make your home shine on the inside and the outside. Make your home bright and welcoming … a summertime oasis! Curb appeal and backyard staging will draw buyers in. You want buyers to want to see your home and then envision themselves relaxing and living there. Outdoor living space can be a big selling point in the summer. Plan to spend a little bit on some summer décor, whether it’s a bistro table and chairs on your deck; patio furniture with colorful throw pillows; or a lovely wooden bench and flowerpots near your walkway. This may be a great time to work with a stager so you don’t have to buy many items yourself. Don’t skimp on or blast the air conditioning. Don’t make your home hot and stuffy so that buyers rush through your home. Or don’t make it too cold, that buyers sprint through the rooms. Set your thermostat at a comfortable and cool temperature. If you’ve already moved, make sure you time it so that your home stays cool during possible showings. Buyers will love to get out of the heat! Brighten up your home. Consider switching out dark colored pillows, throw rugs, curtains, and other décor to lighter colors. Clean the windows, open the blinds, and keep the lights on. Even though it doesn’t get dark until much later in the summer, you still want to light up the inside of your home. Maintain your yard and water, water, water. Mow your lawn, trim your bushes and trees. Sweep your deck or patio regularly. And, the summer heat can make your lawn turn brown … water that and all of your flowers in beds and pots. Be prepared for getting your family out of the house. If you have children, selling in the summer can be difficult because they aren’t in school and are at home, possibly all day long. Hopefully you can keep your home in order as much as possible and develop a good exit strategy for those times you need to show it. Preplan so you know if you need to have a sitter, set up a play date, sign up for a camp, or head out for a long dinner. As you can see, selling in the summertime doesn’t have to be a negative. You’ll have more daylight hours to showcase your home, you’ll see more serious buyers or those on a deadline themselves, and many homes can look their best inside and outside in the summer. All positive! But do keep in mind that summer is slower and there will be less traffic to your home than if you listed in the height of the springtime selling season. That can be a chaotic and rushed time, so the lazy days of summer is definitely a different market. So you must keep it all in perspective. Every seller has their own personal specifics and deadline when it comes to selling, especially if you need to list your home in the summer. 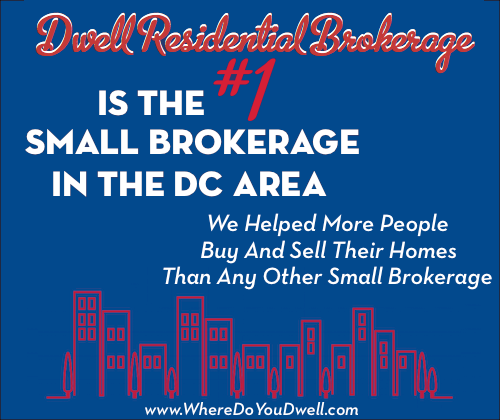 You MUST know your market and neighborhood so that your price your home right and also have an idea of what you should or shouldn’t be do when negotiating terms. We’re here to help you with a summertime sale. Contact us today!